How might we empower teachers to embrace prototyping? How can experimentation help teachers design a learning environment that enhances classroom goals? A 3-part documentary series with Edutopia (George Lucas Education Foundation) to show how designers and community volunteers helped a San Francisco public school teacher transform his crowded classroom into a space that fosters collaboration, creativity, and active student learning. This series and subsequent SXSWedu workshop, articles, and social media campaign has inspired over 200,000 educators. 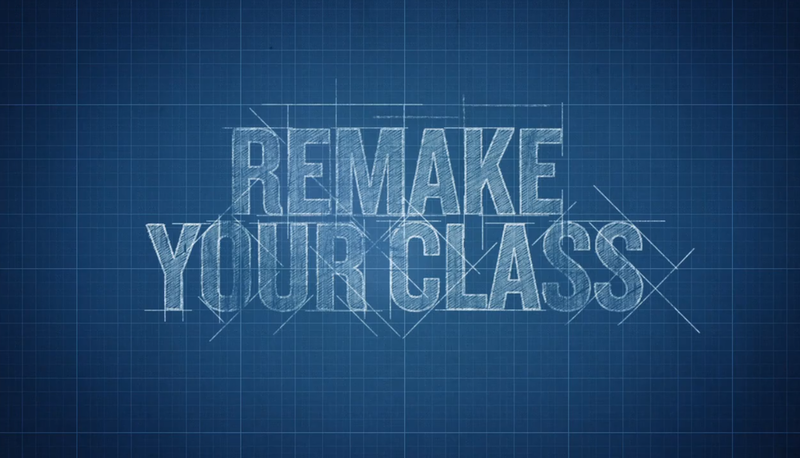 In 2014, the prototype classroom informed the design direction of Roosevelt Middle School’s school-wide interior refresh. 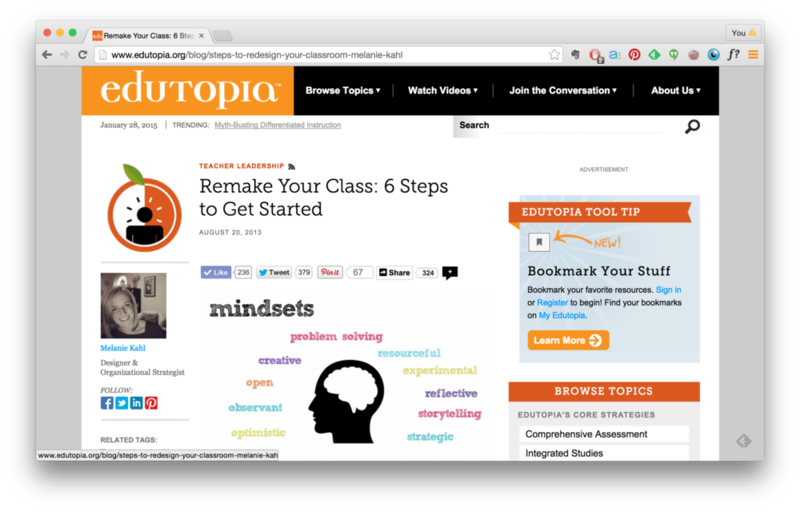 In March 2013, we held a workshop called "Hack Class: Shape your Ecology, Empower Learning" at SXSWedu with our friends at Edutopia. We explored the question, "How can we empower teachers to become designers of their learning experiences and environments?" We unpacked and reclaimed the concept of "hacking" as a tool for prototyping change and held a hands-on workshop to explore these ideas in action. Our presentation highlighted the "hacked classroom" at Roosevelt Middle School and our ongoing work with The Lovett School in Atlanta, Georgia. Hear my reflections on the project, team, & my role here. Sketching out the strategies for the front of room layout and "DJ Dashboard" teaching station. Created in collaboration with Edutopia with special thanks to Lora Fukada and Zachary Fink (and the entire production and media team) and TheThirdTeacher+ with partners Christian Long and Emi Day (SXSWedu support). The entire team of volunteers, students, and hack collaborators are listed here. Their talent, flexibility, and good humor were central to this project. Even several years later, collaborations and friendships continue to blossom from this great team.